Part 13 in our series A to Z Considerations for Seating & Wheeled Mobility: A Quick Reference Clarifying Confusion Around CRT. See Part 1, Part 2, Part 3, Part 4, Part 5, Part 6, Part 7, Part 8, Part 9, Part 10, Part 11, and Part 12. 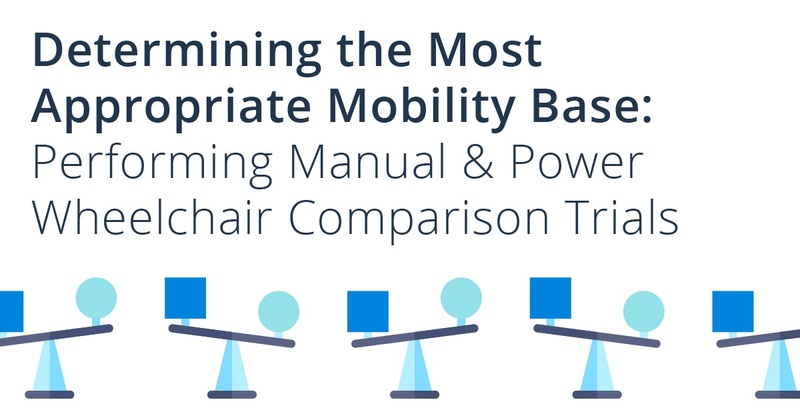 To determine if a power wheelchair versus a manual wheelchair is the appropriate mobility base to allow your client the ability to complete MRADLs and all necessary functional tasks as independently as possible, then completing comparison trials is recommended. This can effectively rule out a manual wheelchair utilizing various standardized tests. First and foremost, no matter the base, be sure the client is optimally positioned in the wheelchair to be most proficient with manual and power wheelchair propulsion. Set a pre-determined distance and record the time it takes the client to travel that distance propelling a manual wheelchair and then driving a power wheelchair that same set distance. Perhaps it takes the client 5 minutes to propel a manual wheelchair 10 meters and only 30 seconds to navigate that same 10 meter distance in a power wheelchair. Take critical vitals such as heart rate, blood pressure and oxygen saturation levels after the manual wheelchair test and then again after the power wheelchair test to compare how each method of mobility affects the client’s cardiac and respiratory systems. In a client who battles fatigue, has cardiac and/or respiratory issues that could be the difference in making it to the restroom to avoid an incontinent episode or safely crossing the street at an intersection in the time to avoid harm. Have the client perform/attempt to perform various functional tasks in both the manual and power chair, comparing the level of independence AS WELL AS the time is takes to complete those tasks. For example, have your client propel from the kitchen to the bedroom and perform a WC<>bed transfer. Then, propel/drive into the restroom and complete a WC<>toilet transfer. Perform this task twice, comparing the level of indepence and efficiency in the manual wheelchair and then again in the power wheelchair. Did utilizing the manual system, fatigue the client by causing more time and energy exertion resulting in dependence of a caregiver to complete the MRADL task? If so note that as proof that when utilizing a power base, the client is less physically compromised resulting in independently completing the same MRADL task. If you are not in a home a setting where you can complete trials in the real-life situation, then do your best to simulate these tasks in whatever setting you are in! Utilize a BORG or modified BORG rate of perceived exertion scale to show the client’s perceived energy cost in manual versus power chairs when performing comparison trials for clients who battle fatigue or have cardiac and/or respiratory issues. *TIP: I KNOW that time is often a constraint: While comparison trials in manual versus power is ideal, many times you can rule out a manual chair solely based on your functional assessment. For example, if your client has, grossly, 2/5 upper extremity strength, then this is not functional for manual wheelchair propulsion. Or, perhaps your high-risk client has poor sitting balance/trunk strength and cannot independently perform ADEQUATE pressure reliefs and will require power tilt and recline in order to keep the skin healthy and prevent pressure injury. 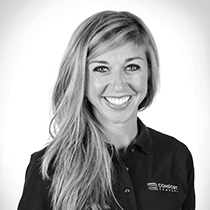 Join me the next few weeks as we walk through the process of determining the most appropriate power wheelchair base and the selection of power features for your clients!